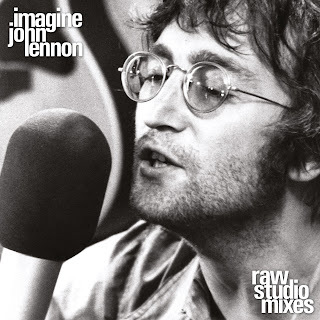 08 April 2019 (Toronto, ON) - One of the many highlights of John Lennon’s Imagine – The Ultimate Collection, the immersive and intimate super deluxe edition of his legendary solo album, released this past October on what would have been his 78th birthday, were the Raw Studio Mixes. Helmed by engineer Rob Stevens under the supervision of Yoko Ono Lennon, these aggressively visceral and emotionally touching mixes capture the exact moment Lennon and The Plastic Ono Band recorded each song, raw and live on the soundstage at the centre of Ascot Sound Studios, at John & Yoko’s home in Tittenhurst. The Raw Studio recordings are devoid of the effects (reverb, tape delays, etc.) that were added when co-producers John, Yoko and Phil Spector created the additional layers of production sound and added John’s orchestral arrangements in New York. Exclusively for Record Store Day, this Saturday, April 13, Ume/Universal Music Canada, the country’s leading music company, will release Imagine – Raw Studio Mixes on vinyl for the first time as a limited-edition Record Store Day First release, pressed on audiophile grade 180-gram black vinyl. Previously only available in the Imagine—Ultimate Collection box set, these raw studio recordings reveal whole new levels of sonic depth, definition and clarity to these timeless songs.